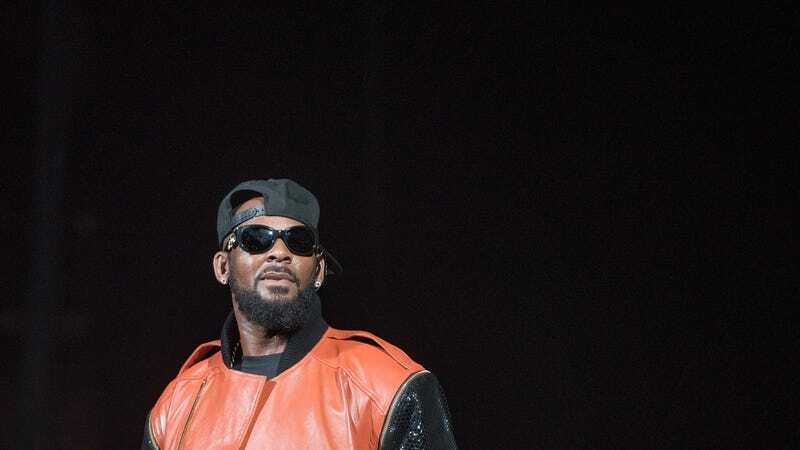 After Time’s Up, an initiative dedicated to combating sexual abuse and harassment, called for “appropriate investigations and inquiries” into repeated allegations of sexual abuse against Robert “R.” Kelly, two more women have come forward with new claims against the singer. Lizzette Martinez, now in her 40s, says she was 17 when she met Kelly in 1995. The singer was then 28, and Martinez says that despite knowing she was underage (the age of consent in Florida is 18, BuzzFeed notes) Kelly took her virginity. The two continued dating for four years, during which time Kelly “[hit] her on five occasions and [pressured] her to engage in sexual acts against her will,” writes the news outlet. The two began a relationship just a year after Kelly married R&B singer Aaliyah. She was 15 at the time. In fact, Kelly’s former protégée was brought up early on in Martinez’s interactions with the singer. She recalled one dinner with her and Kelly; her best friend, Michelle Powery; and Kelly’s then-manager, Barry Hankerson. Hankerson is also Aaliyah’s uncle. “Barry kept looking at me — it’s like he felt bad, you know, like he wanted to help me,” Martinez recalls. During dinner at Outback, Powery asked Kelly about Aaliyah. “I almost died, but she asked him, ‘Didn’t you marry her?’” Martinez says. “And Barry was sitting there, and it was just, like, dead silence.” Neither girl knew Hankerson was Aaliyah’s uncle at the time. Martinez got out of the relationship in 1999. As for the second woman BuzzFeed spoke to, Michelle, her battle with Kelly is ongoing. Michelle claims that her daughter, referred to as “N.” in the article, began a relationship with Kelly when N. was 17 years old—the age of consent in Illinois. In 2014, after working as R. Kelly’s personal assistant, the then-22-year-old N. told her mother that she was moving to Atlanta with the singer. Since the move, Michelle has seen or heard little from her daughter. Her daughter is 27 now, and Michelle says that Kelly has prevented her daughter from coming home, or even speaking to her, for years. The few calls she has gotten from N., she says, are like “prison calls,” ending abruptly. “If they’d done their jobs, none of this would have happened,” Michelle says. Both accounts line up with what others have alleged about Kelly’s ongoing pattern of targeting and abusing young and underage women, which has gone on for more than 20 years. His alleged victims have been primarily black women.